Considering the food culture that exists these days in Italy not many people would realise that 500 years ago the food served on the dinner table there was a vastly different to this present day. This follows on from our first ever blog food sources, which thanks to the current wave of globalisation, which started in the colonial era, the foods, herbs and spices from different countries have become staples of countries on another continent. Sure things like cheeses, olives, capers rosemary, thyme, oregano, apricots, carrots, lettuce, cured meats, artichokes and asparagus were all used in Italian cuisine 500 years ago, and are all characteristic of Mediterranean countries. Whether they were native plants and products to the European continent or brought by Arab influences through Greece or Spain they were already on the Italian dinner table. But look back at what Italy is known for. It’s pastas,pizzas, tomato based sauces and Polenta. They didn’t exist. Well certainly not in present day form. While French food is known for its great tastes, coming from elaborate and complicated recipes, Italian food is more often prepare because it is also tasty, but more simplistic to prepare. The Italian explorer Marco Polo first brought the idea of the noodle back with him from his visit to China. You could say that Italy has developed their food culture more from this discovery than any other European culture. Another Italian, Christopher Columbus, inadvertently for Italy, while serving the Spanish court, further changed the Italian gastronomy, with his discovery of the Americas. Columbus reportedly knew the whereabouts of a largely uncharted landmass to the west of Europe. Unsupported on his cause by the Italian court, after a tiring campaign with Portugal, and also Spain the Spanish court much to their gain, supported his idea. From the Americas arrived things like tomatoes, bell peppers, potatoes, maize (corn) for polenta, and many other vegetables which form the staples of European gastronomy these days. You could say the durability of these vegetables helped the European culture expand the population with a greater range of vegetables that were less perishable. In colder climates the Europeans, tried to preserve their fruits, vegetables and meats, to have food to get them through the non harvest season, winter. It is still not evident through historic manuals that although a food product similar to pasta was present in Italy before Marco Polo, it is still pointed out that bringing the noodle to Europe, pasta making developed moreso after visiting China and is often attributed to him. Polenta was formerly made from other flour based products like chestnuts, and spelt, but the most common form consumed these days is made from cornflour. Undoubtebly tomato after pasta has had the greatest effect on Italian cuisine. Pizzas, pastas, sundried tomatoes, in salads, eaten by itself and whatever else they could think of, they area versatile and staple of the Italian diet. Of course I’ve only mentioned a few and there are probably more examples out there like eggplant or aubergines. Just imagine the food eaten beore those times???? 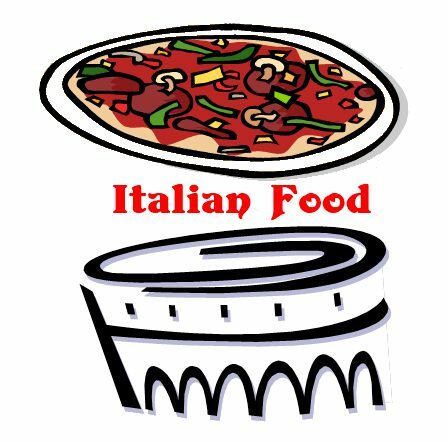 If you like our post Italian Food 500 Years Ago please feel free to share it with your friends, click the Facebook or Digg like button, or share it with other social media.